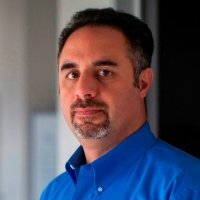 Mike Figliuolo is the Founder & Managing Director of thoughtLEADERS, LLC. ThoughtLEADERS, LLC teaches leadership, strategy, communications, innovation, decision making, resilience, and other key business skills. Courses are hands-on: we introduce a concept, explain it, give examples and then you utilize those concepts in classroom exercises. The best way to learn is by doing and the best people to learn from are those who have successfully applied the concepts they teach.